Single most important application of QC (in my opinion): Disproving the people who said QC was impossible! At least he admits that no one has disproved us yet. Quantum computing is impossible. If I am right, then the majority of what he says is meaningless. His title was "When Exactly Do Quantum Computers Provide A Speedup?". The answer would be never. Everyone should just ignore this field until someone actually demonstrates some sort of speedup. (b) a synonym used by some famous authority figures for ignorance. This is a stupid test, because there are no "positive and negative amplitudes". The wave function for an electron is a complex-coefficient spinor function. Only in his imaginary world of hypothetical qubits are things so simple. I do emphasize the interference. There is a always a diagram of it on the side of this blog. 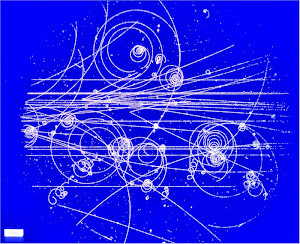 But the interference is a lousy explanation for "why the entangled particles can’t have just agreed in advance that one would spin up and the other would spin down." The particles cannot agree in advance because spin (up or down) is not a discrete property of particles. We only get a discrete up or down when we do a measurement, like in a Stern-Gerlach detector. 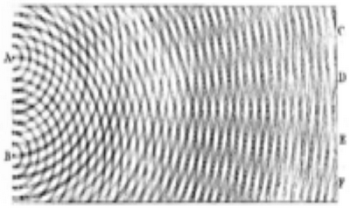 The spin has wave-like properties, like everything else in quantum mechanics, whether or not any interference is taking place. Aaronson is writing a new book on this subject, because he complains that no one understood these points in his previous books.